7-Eleven strikes a Reese's theme with the addition of new Reese's Peanut Butter Hot Chocolate as well as a new Reese's Peanut Butter Cup-topped donut for a limited time. 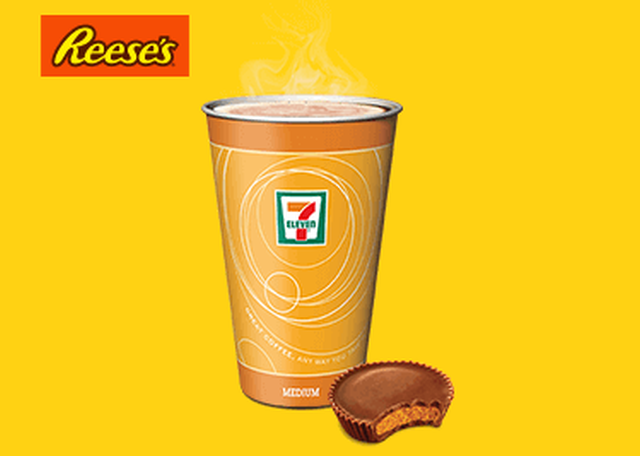 The new hot chocolate is exclusive to 7-Eleven for a limited time and joins hot chocolate with the flavor of peanut butter. The Reese's donut is a chocolate cake donut with peanut butter icing topped with pieces of Reese's Peanut Butter Cups.